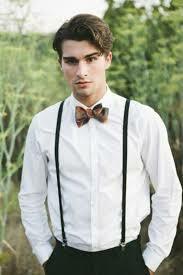 This is what I look like wearing suspenders. More or less. Let’s face it: I am an old guy. Proof #1: (and don’t worry, we’re not going anywhere near 50 proof here): I swore I would never wear a bolo tie. I associated those bits of string and rock with old guys from the Southwest who were trying real hard to look like Indians and not succeeding. As far as I was concerned, bolos belonged in the same pot as big Buicks, early bird specials and Haband slacks. We eventually sold the car to a friend’s son. He totaled it the next week. Sic transit gloria mundi. Anyhow, back to the bolos. Out interim preacher Jim Ailor (not pastor—he shows up on Sundays to deliver amazing sermons and leaves the work of weekday ministry to the rest of us—it’s a great arrangement) preached a sermon series called “Manassas Baptist Church Goes Country.” I am not making that up. We sang songs like “You Are My Sunshine” and “Happy Trails to You” (as a benediction), and the sermons were based on country songs such as “I Hope You Dance” (Lee Ann Womack), “My List” (Toby Keith) and “My Wish” (Rascal Flatts). To emphasize the theme, we were encouraged to wear western clothing, which I had not done since I was six and a big fan of Roy Rogers, Hopalong Cassidy, Gene Autry and the like. So, Becky and I combed our closets for western wear, which was in short supply. I ended up going to a western store and buying a hat and—you guessed it—a bolo tie. And all the pigs in town flew off. Proof #2: I drive like an old guy now. No, I don’t have a Buick, and I sold our big Impala my dad gave me because I can’t drive two cars at once. I have a 2004 Mazda 6 station wagon for hauling stuff, mostly church musician (of which I am one) equipment. It’s a great little car I bought from my daughter Alyssa when she moved up to a Lexus (she is a vice president and H R Lady for TML copiers and writes an hysterically funny blog called “The Shame Squad” which is about diet, fashion and Kate Middleton (not in that order—Kate is, seriously, Number One with her). You can read all about it at http://theshamesquad.blogspot.com/2015/01/january-9th-10th.html?spref=fb . Check it out. I think you’ll like it. Anyhow, the Mazda has a powerful engine and a sports suspension. I can get into trouble with it very fast (and fast is the operant word there—I got a speeding ticket about a year ago for doing 40 in a school zone—but the lights weren’t flashing. Honest. The judge didn’t believe that either.) I also rear ended a young woman on the Prince William Parkway after she stopped dead in the road. It wasn’t my fault. The judge must have talked to the first one, because when she heard my explanation, she smiled and hit me with court costs and a small fine. It could have been worse, I suppose. So, those couple of incidents got my attention and I started driving like an old person—you know, hitting the accelerator instead of the brake, leaving the turn signal on for miles, peering through the steering wheel and all the rest. I might look funny, and it takes me longer to get where I’m going, but I get there. In the same condition I left it. More or less. Proof #3: This is probably the pièce de résistance of proofs that I am now an old guy. (Did you like those accents on “pièce de résistance”? I thought you would. I’ll tell you how to do it for a dollar. Cash only, bud. I wasn’t born yesterday…) And the proof is…I wear suspenders. Yep, that’s right, suspenders like your granddad wore. Hey, I’m about his age, so I have a right to wear them. I also have a reason, and it’s related to my health, and no, it’s not what you think. I was trying to be healthy this past year, so I joined a gym (full of old people and older equipment) and by virtue of diet, exercise, a positive mental attitude and certain pharmaceutical products (JK, as the kids say. If you don’t know what that means, ask a fifteen year old. Don’t ask me. I’m too old. ), I lost 25 pounds. My fat pants don’t fit me any more and I can’t get into the thin man models. So, if I wear a belt, the weight of the junk I carry pulls my pants down around my ankles. And I’m not about to start a career as a rapper now. So, I wear suspenders. They’re fun, different and allow me to do a sharp Clarence Darrow imitation. All I need is a fan and it’s monkey trial time all over again! Growing old can be a pain in the AARP card, but it does have some advantages. I’ve written about a few, but I bet you could add to my list. When you’re old enough, that is.